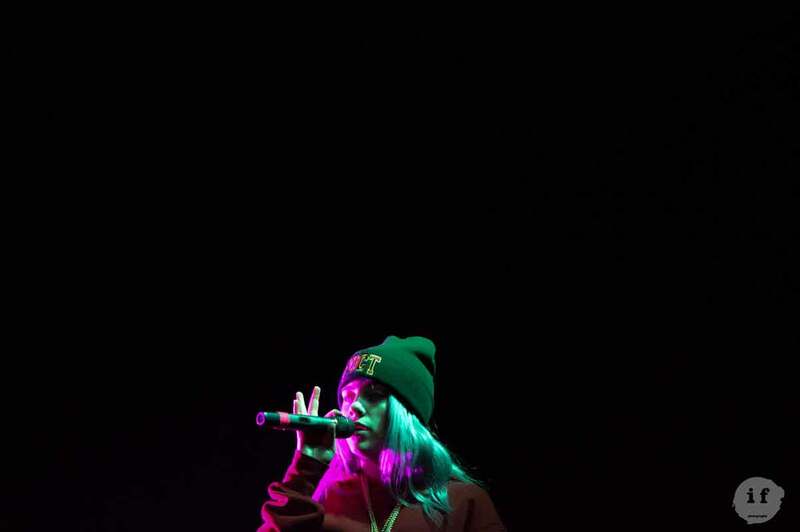 Springfest is a two day annual festival at Washington State University, featuring local dj’s and an eclectic variety of young musicians and performers. 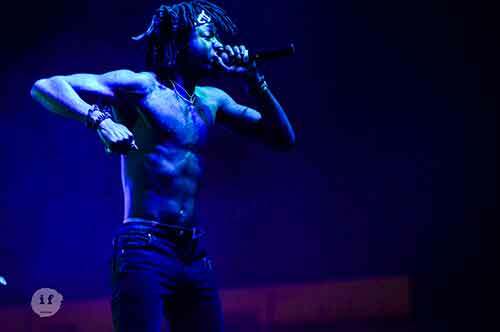 This year, the headliners were Billie Eilish (who we will be focusing on) and Playboi Carti, and other artists included J.I.D, Gryffin, Travis Thompson, and more. Excited college students waited outside the entrance before the festival opened, just a street away from the stage. When the gates were opened, they walked briskly towards the stage. There wasn’t any running, but early entry may have helped those with sensory difficulties to avoid the surge of the crowd moving towards the stage. There was a lawn area to the left of the stage that wasn’t too crowded, and many were able to sit while they waited for the main performances. We highly suggest this area for future concerts at this venue for those with Sensory difficulties. On Friday night, a dj began to play and mix on the stage as people entered and got settled. The music was very high-energy and upbeat, and mostly EDM. The bass was extremely loud, and almost everyone around me was covering their ears and lowering their heads when the beat would drop. It was so much that you could feel it all throughout your body, and at times you couldn’t really hear anything else (even the other tracks, or singing in later cases). I have been to many loud rock concerts, and even I had to get ear plugs – definitely sensory overload for anyone with sensory difficulties or without. The loud bass continued throughout all the performances, and there were times where I couldn’t hear anything else including the artist’s voice. While the shaking in your body can be a bit much at first, once I got used to it, it was alright. It is a very interesting and amazing experience when you can feel the music in your body. For those with sensory difficulties, we recommend staying away from the front of the crowd, where the sound is loudest. Choose instead to go on the lawn or side of the stage if possible. We also suggest bringing headphones or earplugs. 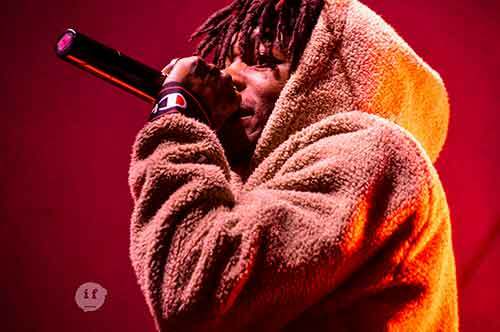 The first official act, J.I.D was a young rapper with trap and hip-hop influenced beats. The music itself was great and the beat patterns and tempo changes offered an appealing sound for any listener. While there was use of swear words that can be expected in rap, and it wasn’t too excessive. The lyrics were meaningful and well thought-out. This budding musician had wonderful stage presence, interacting with the audience and giving an overall engaging and superb performance. 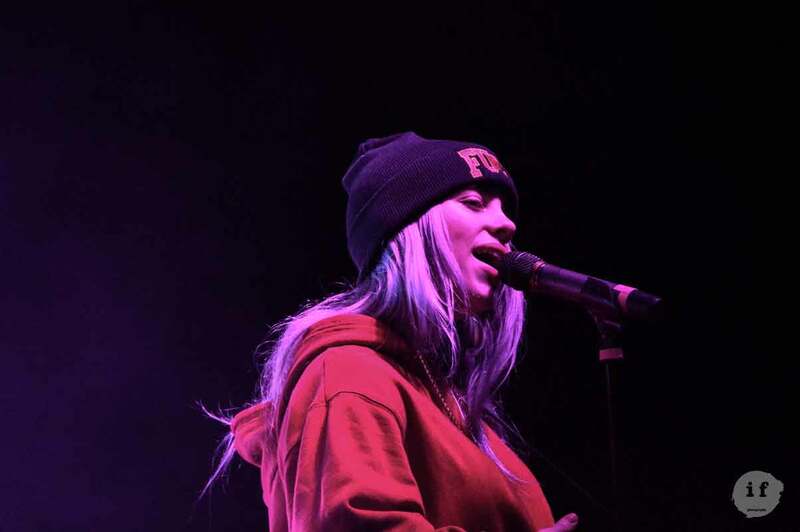 Billie Eilish, the headliner, built up suspense for her entrance for about ten minutes before entering the stage. Although she is only sixteen, her soulful vocals and entrancing stage presence give her a wonderful maturity not many her age possess. 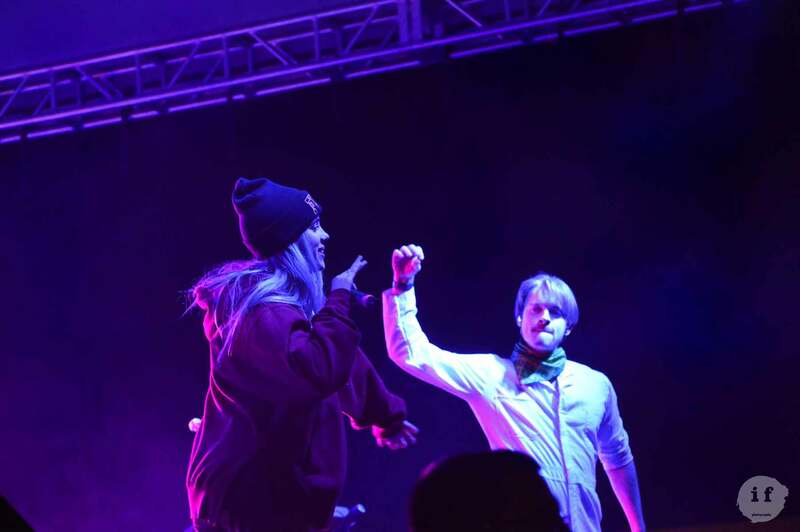 Her brother (Finneas O’Connell) and a drummer joined her on the stage, creating a dynamic sound filled with many different elements. The bass was still quite loud, but not as much so as the other two artists, it felt more blended and the ability to her her vocals was much better. She engaged the audience consistently, and danced around the stage in-between verses. Her brother and her have amazing rapport. Overall, a stunning performance! During the last song, COPYCAT, she asked the audience to jump, and they did happily. This may be overwhelming to some, but usually it is the last song on the setlist, so you can make your way to the back of the crowd or exit if you’re in the pit. In summary, Springfest is a wonderful small festival that had a variety of music with artists of all backgrounds. It offered good calm places for those that didn’t want to be in the main crowd, and was a great experience for all who attended! A huge thank you to WSU and WSU Student Entertainment Board (SEB) for giving us the opportunity to cover this lively festival and to the inspiring young artists who will continue to inspire future artists.